Shirley Chow | MoniServ, Inc.
You can purchase the ELO ET1247L-8CWA-1-G off our website here and the LED kit here. MS610UB-V2. This LED driver is Designed for 12.1 inch or smaller LCD screens that original equipped with CCFL lamps or their manufacture’s LED strip. It depends on the type of LCD screens. The output voltage is up to 80V DC with 10 Watt. How to connect MS610UB to the existing inverter wire harness: There two 6 pin connectors on MS610UB (CN1 and CN3). They both have the same pinout (Printed on components side). Pin1/Pin2=VIN (+12V ~ 24V DC). P3/P5=GND (Power Ground). P4=ADJ (Brightness adjustment, N/C no connection), P6=ENA (On/Off). You will find all these DC voltages from your existing inverter wire harness and apply to MS610UBHow to disable Enable ENAFor +12V DC supply: Just simply add solder on JP5. That is it! For +24V DC supply: Shorted JP5 and JP6. That is it! You can purchase the MS610UB-V2 off our website here, here, and here. You can purchase the screen from our website here, the CCFL here, inverter board here, LCD controller board here, and LED kit here. You can purchase the LED kit on our website here, the panel here, and the controller kit here. Refurbished Sharp LQ104V7DS01 (Like new condition). 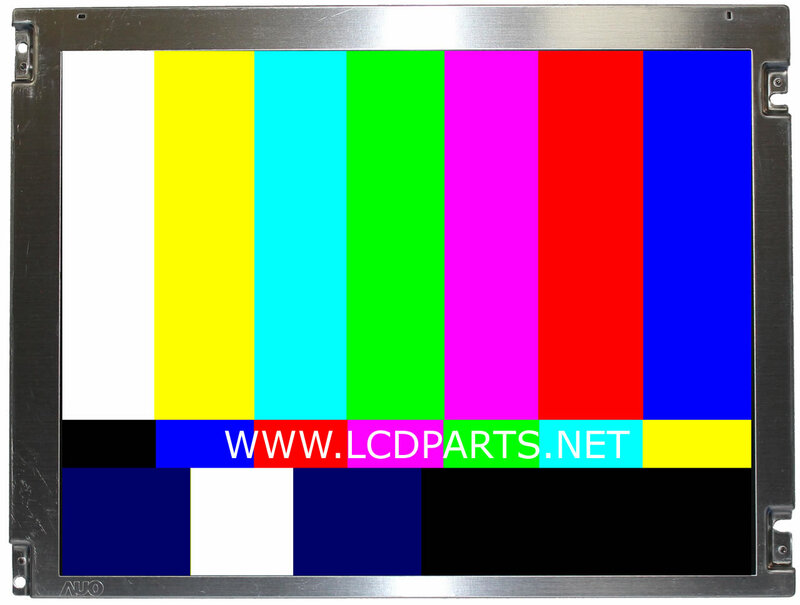 90 days warranty.Sharp LQ104V7DS01, one of the most popular LCD panel in an industrial control application. This 10.4 inch Sharp LQ104V7DS01 is originally equipped with dual CCFL backlight lamps. To extend its life and improve its performance, upgrading it to the UB Series LED backlight seems to be the only option. As they are a solid state semiconductor device, LED has a longer lifespan, typically lasting over 100,000 hours. Are you tired of constantly replacing CCFL backlight lamp again, again and again? When the situation has no time for downtime. Sharp LQ150X1LG55, one of the most popular LCD screen in an industrial control application. This 15 inch Sharp LQ150X1LG55 is originally equipped with dual CCFL backlight lamps. To extend it life and improving its performance, ungraded to UB Series LED backlight is the best option.LED has a longer lifespan, typically lasting over 100,000 hours (last 10X longer than CCFL). Being solid state devices, LED will perform exactly as when they were manufactured as opposed to CCFL which loose light output continuously over their life – up to 50%. You can purchase the screen from our website here, the LCD controller board here, and LED kit here. Are you tired of constantly replacing CCFL backlight lamp again, again and again? When the situation has no time for downtime. Sharp LQ150X1LG45, one of the most popular LCD screen in an industrial control application. This 15 inch Sharp LQ150X1LG45 is originally equipped with dual CCFL backlight lamps. To extend its life and improving its performance, upgrade to UB Series LED backlight is the best option.LED has a longer lifespan, typically lasting over 100,000 hours (last 10X longer than CCFL). Being solid state devices, LED will perform exactly as when they were manufactured as opposed to CCFL which loose light output continuously over their life – up to 50%. You can purchase the screen on our website here and the LED kit here. You can purchase the LED kit on our website here.